For my first Christmas message (I feel like the Queen!) I thought I would share my favourite cocktail with you – the flavours blend beautifully and the cream makes it feel as innocent as a milkshake. Wishing you all a wonderful Christmas and a healthy and peaceful new year. 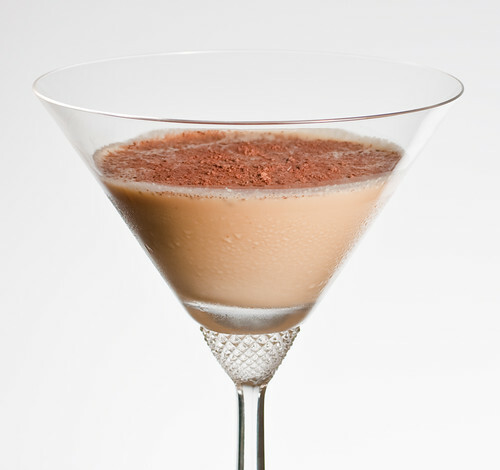 Half fill a cocktail shaker with ice and then pour in the Kahlua, dark crème de cacao, Frangelico and double cream. Put the lid on the cocktail shaker and shake well. Strain into a v-shaped cocktail glass and garnish with the crumbled flake. This cocktail was inspired by the Friar Tuck. To make a Friar Tuck, substitute the Kahlua for an additional 25 ml of double cream. Garnish with cocoa powder instead of a flake. it looks delicious!! hmm.. we dont really get Kahlua here can we substitute or is it fine with out kahlua? The Cadbury Flake shavings put this over the top -- in the best of ways. What a lovely holiday cocktail to share with friends. Thanks guys - hope you enjoyed it.